Readers of this narrative know that I am an office broker who works every day helping Tenants and Landlords navigate the nuances and opportunities across geographical areas and product types. I (along with my incredible team) am based in Phoenix but work around the country and internationally as well. We get hired for all kinds of reasons including our in-depth, up-to-the-minute market knowledge. Below is my quarterly take on the Metro Phoenix market. The key statistic indicating a market’s health is net absorption, which represents job growth. 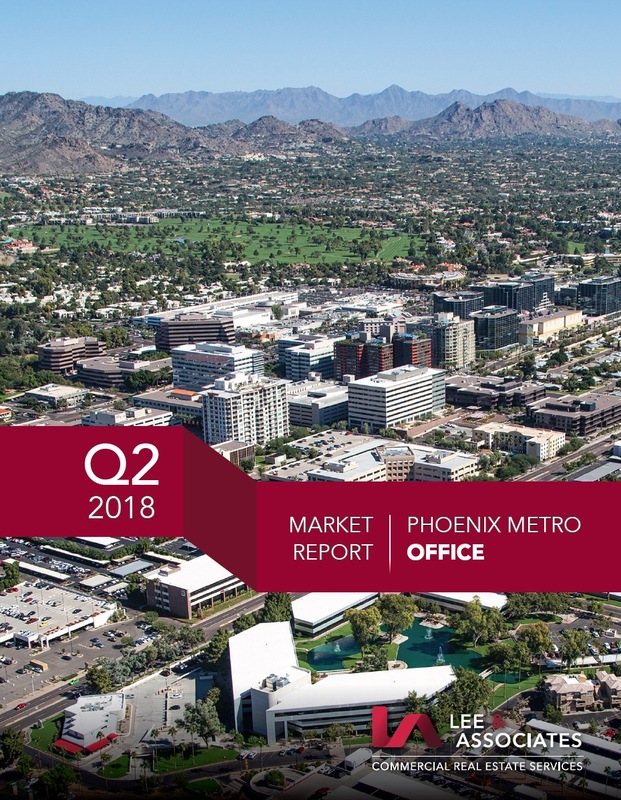 The Metro Phoenix office market posted another strong quarter with 732,248 SF of positive net absorption. This net absorption is why many local brokers are feeling busy. If this pace keeps up, 2018 could double the net jobs that were added in 2017. After two quarters this year, net absorption stands at 1.4 million SF, while 2017 provided 1.8 million SF for the entire year. The substantial leasing activity continues to inspire confidence in developers and more importantly in lenders, which has turned on the new construction pipeline with 2.7 million SF now under construction. Around 87% of this new product is speculative, with no preleasing. 1) Central heats up- Central Avenue Leasing represents the 3rd-highest YTD net absorption for 2018. Tenants seem to be taking notice of the substantial investment being poured into Downtown and Midtown (have you seen Renaissance Square lately?) and the competitive pricing available. 2) Sometimes tight is too tight- Central & South Scottsdale were so tight in Q2 2018 they lost tenants mainly due to lack of product. This lack of product, however, recently helped launch SkySong 5 and Chaparral Commerce Center III. 3) New speculative construction- Tempe and Chandler have 1,473,414 SF of speculative construction underway. Tenants continue to desire proximity to ASU and the excellent labor market in the Southeast Valley. During the first half of 2018, we completed over 50 lease transactions. Want some insider scoop on your submarket and/or building? Please give me a call—wherever you may live.